Ambition for Ageing is a £10m Big Lottery Funded programme which seeks to develop a Greater Manchester-wide approach to building age friendly communities. 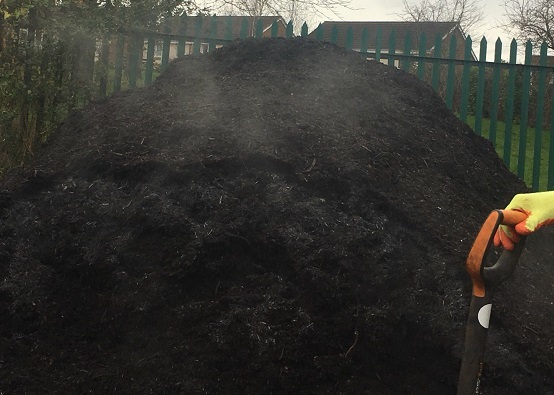 As a small, but vital, partner in this project, Incredible Education has set up the successful Green and Growing Network in Salford. 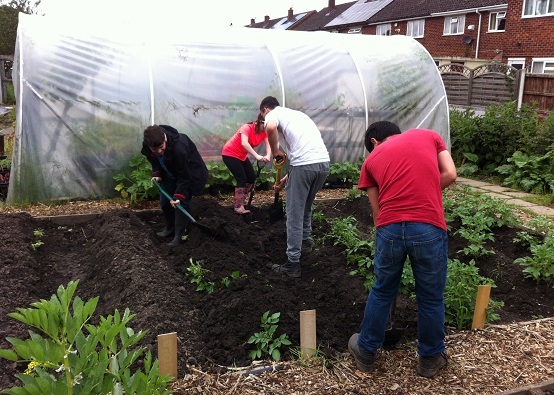 In 2018, the Green and Growing Network involved 11 growing sites across the area, all involving older people to decide what to grow and where, supported by Ian and his team from Incredible Education. Some of the growing sites were in the grounds of residential homes, others were at community centres which provided services to older people. The groups all learnt various tips and techniques for planting and cultivating food, both from the group facilitators as well as from each other. Incredible Education have produced a video which tells the stories of the people involved, many of whom talk about how the activities have allowed them to make new friends, as well as learn and share their gardening tips. 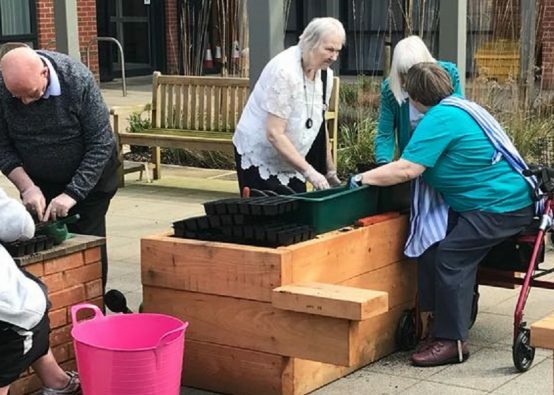 Rodney, at the Age UK Salford Critchley Community Hub, has been gardening for 60 years and was keen to get involved to share his gardening knowledge with others. While Jim, who was involved in the Green Lifestyle space at Salford Sports Village, talks about how he used to enjoy gardening before he moved into a residential home, so the Green and Growing space allows him to get back into an activity which he enjoys. 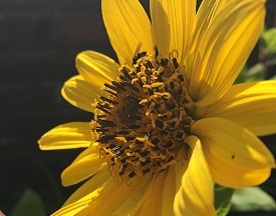 As well as the social side of the activities, Hazel at Monica Court in Eccles, reflects on how good it is to get outside and see what’s been growing rather than doing indoor activities. Some of the groups have become self-sufficient and are now fully fledged Incredible Edible groups, and Ian will be supporting the set up of new growing activities in 2019. The video is a great reminder to us all about how we can sometimes take our outdoors space for granted and what a difference it can make to people’s lives when they’ve got access to growing activities. 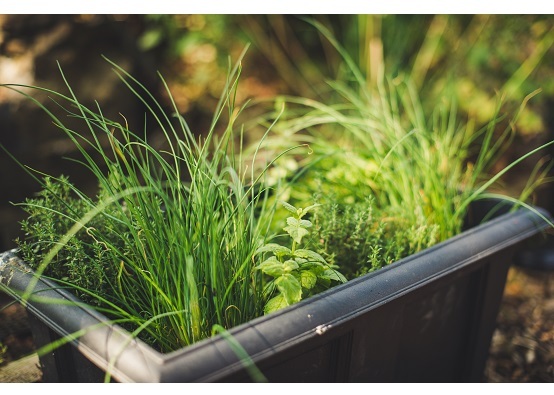 As part of the Ambition for Aging project, the Green and Growing network was considered a ‘test and learn’ project, so it was evaluated by researchers from University of Salford. 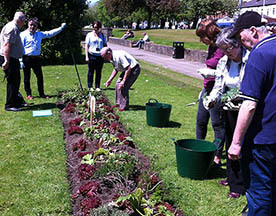 We all know how great growing is to building connected communities, it’s why we’re all involved in Incredible Edible, so it was nice to see the formal research process highlighting that being involved in the Green and Growing network projects has increased social connections and given people a sense of meaning and purpose. Also, key to the findings, was that the activities didn’t just benefit those directly involved, it also benefited those who came to watch, or just sit in the new spaces – and how important being outside is to feeling well. If you’re a group looking to develop your expertise in offering these sorts of services, for example by accessing social prescribing related funds from the NHS, then reading the evaluation report will be really useful to help in your next application. And if you just enjoy getting more people involved in your growing activities, and building those connected communities, watch the video to see how inspiring it can be when people talk about the benefits of getting involved in growing. Click here to find an Incredible Edible group near you, or sign up to the website to access our Getting going section with loads of resources on setting up a new group.